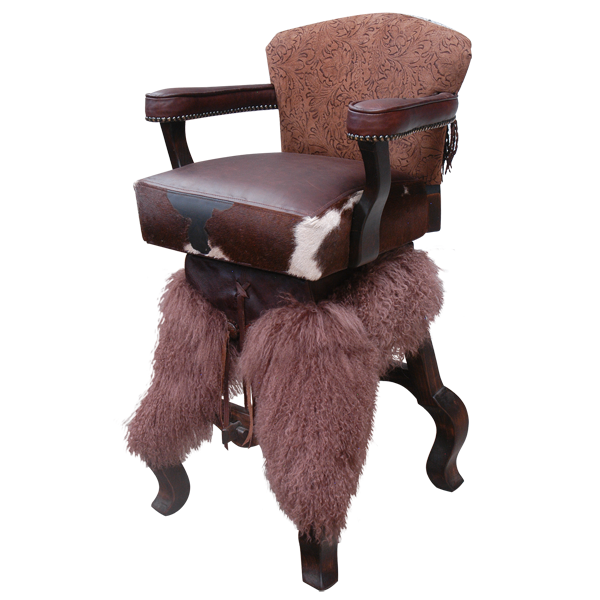 With its wooly chaps, genuine cowhide, and full grain leather, this handcrafted bar stool is full of Western traditions. 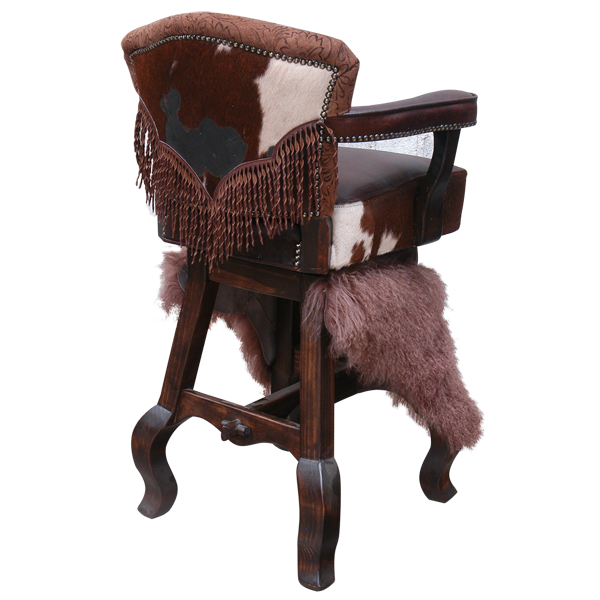 Whether you wear Ropers, cowboy boots, or tennis shoes the experience with our Western bar stools will always be fun and delightful. The Montañero bar stool incorporates a variety of full grain leathers. 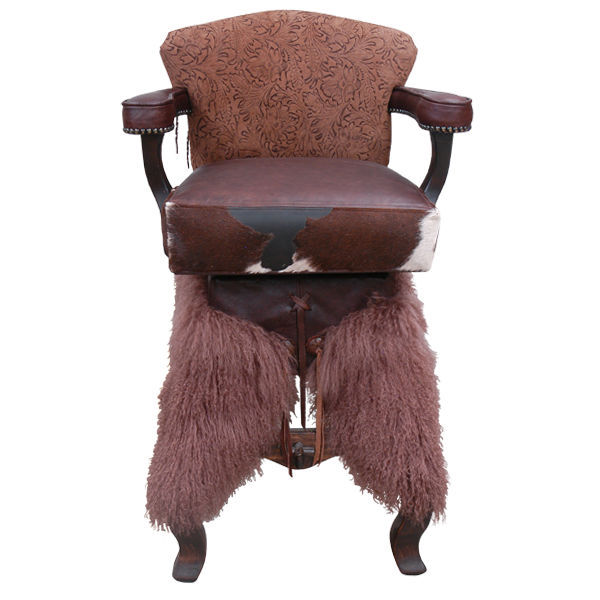 The top of the seat and the armrest are upholstered in rich natural brown full grain leather, the side of the seat is upholstered in patterned genuine cowhide, the inside seat back is upholstered in fine embossed brown full grain leather, and the reverse seat back is upholstered in patterned genuine cowhide. The lower part of the reverse seat back is decorated with full grain leather fringe in a “V” pattern. All of the contrasting leathers are double stitched together for the greatest strength and durability. The bar stool sits on cabriole legs joined by curved cut footrest “H” stretcher. The 2 front legs are decorated with custom wooly chaps made of lamb’s wool. All upholstery is precision hand tacked around the bar stools entire wood base. It is comfortable and durable and made with the best wood available. This bar stool swivels 180° and is 100% customizable.